A cerimônia de entrega do Grammy Latino foi realizada na noite desta quinta-feira (19/11) no MGM Grand Garden Arena, em Las Vegas. Diversos artistas brasileiros foram premiados, como Fernanda Brum, Ivan Lins, Diogo Nogueira, Hamilton de Holanda e Tulipa Ruiz, entre outros. No entanto, Roberto Carlos foi o grande homenageado como a Personalidade do Ano de 2015. Amigos e celebridades se reuniram em um show na noite anterior às premiações para celebrar a vida e a obra do Rei. Outros artistas que já foram homenageados como Personalidade do Ano são Caetano Veloso, Shakira, Miguel Bosé, Plácido Domingo. Jonas Sá – Blam! Blam! Melbourne recently hosted prodigious mandolin talent, Hamilton de Holanda. We caught up with him before he came out to find out more about the man and his music. MJ You grew up in Brazil within a musical family. Can you tell me about your upbringing and some of your early influences? HH Yes, I have a musical family. My father’s a guitar player, my grandfather was a trumpet player, and my brother is a 7-string guitar player. Since I was 5 years old, I have my first mandolin. It was a Christmas gift from my grandfather, and every day, all day, I played with my father and my brother. We have a choro group and every day we practiced since I have 5 years old. After that, when I have about 6 and 7, I studied in a music school in Brasilia, cos I was born in Rio de Janeiro, but I grew up in Brasilia the capital. I studied at the music school called Escola de Música de Brasília, and I studied five years violin, cos we didn’t have a mandolin teacher. The tuning of the mandolin and the violin is the same. So I had this five years violin studies. And a little bit guitar also, through learning harmony. But in this same time, I had this group with my father and my brother, and I used to play choro. 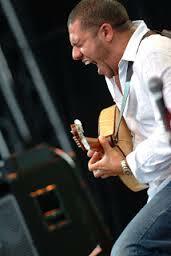 Choro is like the first popular Brazilian music. It is my beginning. MJ So, with a musical family, and given your upbringing in South America, do you think these factors have changed the way you might play? HH I don’t know, cos I didn’t grow up in another place (laughs). But of course my music is a music that comes from the sun, and the hot temperature. MJ Mandolin is not a very common instrument in jazz. Did you draw influence from other mandolin players growing up, or were there other instruments that shaped your playing? HH Well, my first influence was Jacob do Bandolim. He’s like a father of the mandolin in Brazil. 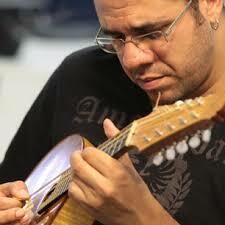 I have also Armandinho Macedo, the first mandolin player after Jacob, who has a new point of view of mandolin. More freedom, more improvisation. But I have many influences, not just mandolin players. Like Buddy Powell, like Agua de Beber, and Hermeto Pascoal of course. But I love jazz also. Keith Jarret and Chick Corea, Michael Brecker, John Coltrane. Also classical music, I love Villa-Lobos, I love Bach. My music have a little bit of these big influences. MJ There’s one thing that I noticed when listening to you- it’s not just jazz. You can definitely tell the influence of classical music, more traditional influence and other genres in there too. Is this something that you’ve deliberately tried to bring into your playing, or is it a natural thing for you? HH My first music is the Choro. Choro is a mix between the classical Europe music, and the African music. So the first melody and the harmony from the choro is the classical melodies and harmonies. The way of my music is to play the choro first, after- the other music, and of course things like classical music, but with freedom and improvisation. MJ One thing that I really enjoy about your playing too, I’ve listened to other jazz mandolin players, and, to me, a lot of them play it more like a jazz guitar. The thing I like about your playing is that you actually use a lot of the traditional techniques like tremolos and double stops in your playing. Is this just a product of your background in more traditional music? HH No, not really. I love other kinds of music, and I mix everything. It’s not a way to think about music, traditional. Music is freedom for me, I can do what I can think about. If I have a jam session with a Swedish guy, or Australian, American, or Venezuelan guy, if you have a music to play together, I play together. I don’t have this problem. MJ So would you say you have a style? MJ I understand you have a 10-string custom mandolin that you play. Can you tell me a little bit about why this instrument’s so special? HH When I have about 18, 20 years, I thought about having a polyphonic mandolin. More melody and chords and rhythm together, like a solo piano or guitar player. I tried to do that with my eight string, with my normal mandolin. I did some arrangements and some compositions, but I wanted to have a bigger mandolin with more bass notes. And I called a friend, a mandolin builder, “Hey, you can do a 10-string mandolin for me? You can use a wood, not expensive, because if we don’t like it, we burn it.” But the first was magnificent, it was an incredible instrument. This was in 2000. After that, all the building guys make this model. MJ Can you remember a particular moment that’s made a big impact on your way of thinking or playing? HH Many moments I have that reflects this. The first time when I listened Armandinho, when I saw the first time Hermeto Pascoal playing, when I listened the first time to clarinetist from Brazil called Paulo Moura, the first time Chick Corea, and when I begin to study the partitas and sonatas from violin solo from Bach. I have many influences to think about. MJ You’ll be coming to Australia very shortly, playing with Stefano Bollani. What are you looking forward to most? HH It’s my first time to Australia. I’m excited because it’s a beautiful country, and I saw about the people it’s like in Brazil. Have people with the sun, with a good deal of life, so I’m excited to be in Australia. MJ Can you tell me about playing with Stefano? HH Stefano is like a musical brother, and we play since 2008. Our first time was in Italy, and after the first music together, we said we have to do something. Just playing and no talking- everything’s looking with him. When he plays some melody or some charts, he didn’t need talking anything with me, and the opposite is the same. So we have a beautiful musical connection. We like improvisation, and he knows about Brazilian music. He has the rhythm, real rhythm with his piano and his ears to play anything. MJ When I spoke to him, he mentioned that you don’t normally choose the songs before you go on stage. Is that something that you do to be in the spur of the moment? HH We have set lists of about 40 or 50 songs, and when we are in the stage, we play. No rehearsal and just to have one set list. And this is the concert like that. We see the people and we play. MJ Are you planning on seeing anyone play at the festival while you’re here? HH If I have time between the concerts, I will see, of course. I love that. I love new music and new musicians around the world, and I have the same way in Australia, of course. MJ You play with different acts and lineups. How does your playing change when you work with different people? HH I think when I play with great people and great musicians, I want to learn some kind of great way of music, and also I want to give a little bit from my music. MJ I know you’re a family man as well as being a busy musician. How do you relax when you’re not on the road, and what are your plans for the future? HH My plans is continues to do what I do. I give the people my music and my heart because when I play, the most important for me is to touch the heart of the people. Is the good point, the beautiful point of the life for me. When I relax, I have my mandolin with me, and I can compose, or playing off with my kids, or give some piano lessons to my little boy who is just 7 years old. Or if there is a ball, I can play football with my kids. Life is beautiful. Ya se los había advertido en anteriores Viernes de Virtuosos, “NO ESTAMOS SOLOS”. No queda la menor duda de que Seres de otras Dimensiones y de otros Planetas y Mundos Paralelos están entre nosotros desde hace mucho tiempo. Repito, NO ESTAMOS SOLOS. A este Marciano le tenía puesto el ojo desde hace tiempo y solo buscaba una explicación lógica de porque este ser de otro Planeta había escogido una Bandolina para “mimetizarse” entre los habitantes del Planeta Tierra como un músico más. La idea inicialmente era buena porque la Bandolina es un instrumento que para el pensamiento común es un instrumento poco atractivo; que hasta pasa casi inadvertido, y además el tal Hamilton de Holanda (acaso alguno de ustedes conoce a otra persona que se llame así?? ?….ese es nombre de Marciano donde lo pongan)escogió vivir en Brasil, un territorio inmenso con millones de personas y selvas eternas en donde seguramente esta escondida su Nave. El Plan era Perfecto para pasar Inadvertido,……. pero le Falló. Pero Hamilton de Holanda cometió mas errores comprometiendo definitivamente su identidad….Por alguna razón que no se ha podido definir bien, hizo contacto con un grupo de Extraterrestres radicados en la ciudad de Caracas – Venezuela y que se hacen llamar EL ENSAMBLE GURRUFIO y comenzó a colaborar musicalmente con ellos con relativa frecuencia; dejando registros inequívocos de sus diferencias con la raza humana. Con Gurrufío hay cosas increíbles y es que la música venezolana tiene ritmos “Trancaos” como el (para muchos músicos) “Indescifrable” 5×8 y otros muchos más que están llenos de síncopas y contratiempos; es increíble como Hamilton de Holanda se encuentra como “Pez en al Agua” y tratando de disimular el mismo define la experiencia como “Surreal”. Un dicho de por aquí por estos lados del mundo dice que “Dios los Cría y Ellos Se Juntan” y este , sinceramente, creo que es uno de esos casos. Los dejo disfrutar de esta maravillosa ejecución de Hamilton de Holanda con el Ensamble Gurrufío y en verdad espero que ya lo tengan claro ……NO ESTAMOS SOLOS. 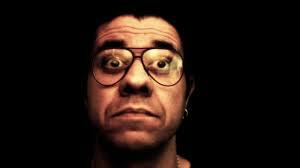 O bandolinista e compositor carioca Hamilton de Holanda dá um giro musical pelo país através do inédito repertório de seu álbum autoral Pelo Brasil. Gravado, mixado e masterizado entre julho e agosto de 2014, o disco está sendo editado neste último trimestre de 2015. Produzido pelo próprio artista com Marcos Portinari, o CD alinha 14 músicas compostas solitariamente por Hamilton. A viagem musical tem escalas no Rio de Janeiro (A escola e a bola, Sambaíba, Tijucana), no Sul do Brasil (região representada ritmicamente no disco pelo chamamé Chama lá), no Norte do Brasil (Carimbobómistura carimbó e bumba-meu-boi) e em Pernambuco (Frevinho), estado do Nordeste, região evocada no CD por A volta da macaxeira. Já Caboclinho caipira mostra que Pelo Brasil transita até por temas e terras rurais. O giro por ritmos nacionais reitera a maestria de Hamilton de Holanda no toque do bandolim, instrumento do qual ele já é um dos maiores virtuoses do Brasil.